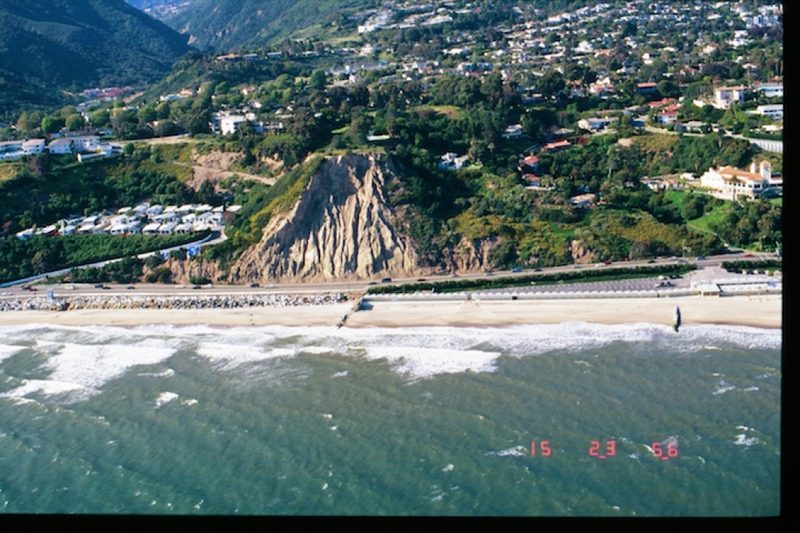 It was the winter of 1997-1998 when the granddaddy of El Niños — the one by which all other El Niños are judged — vaulted the climate term to household name status. It had such a noticeable impact on U.S. weather that it appeared everywhere from news coverage of mudslides in Southern California to Chris Farley’s legendary sketch on “Saturday Night Live.” Basically, it was the “polar vortex” of the late ‘90s. So it’s no wonder that it is the touchstone event that people think of when they hear that name. And naturally, as the current El Niño event has gained steam, the comparisons to 1997 have been increasingly bandied about. The most recent came this week in the form of an image from the National Oceanic and Atmospheric Administration that compares satellite shots of warm Pacific Ocean waters — a hallmark of El Niño — from this June to November 1997, when that El Niño hit its peak. A comparison of sea surface temperatures between July 2015 and November 1997. On the one hand, the two are comparable given that 1997 was the strongest El Niño on record and, at the moment, the best science indicates that the current event could match or rival that one — at least in terms of ocean temperatures. But on the other hand, each El Niño event is its own beast, the product of conditions in the ocean and atmosphere, of climate and weather that are unique in that particular place and time. In the, albeit very short, modern record of El Niños, “we cannot find a single El Niño event that tracked like another El Niño event,” Michelle L’Heureux, a forecaster with NOAA’s Climate Prediction Center, said. Forecasters like L’Heureux cringe at comparisons because there’s no guarantee the impacts of one El Niño will be just like that of a previous one, even if they look broadly similar. And it’s those impacts — like potential rains in drought-stricken California — that most really care about. El Niño is not, as Farley’s sketch had it, an individual storm, like a hurricane. Rather it is a shift in the background state of the climate brought about by the sloshing of warm ocean water from its normal home in the western tropical Pacific over to the east. That redistribution affects how and where ocean heat is emitted into the atmosphere, which can alter the normal patterns of winds and stormy weather in the region. Those more local shifts can telegraph through the atmosphere and, in the case of the U.S., can alter the position of the jet stream over the country during the winter months, typically leading to wetter-than-normal conditions over the southern tier of states and warmer temperatures over the north. Those are the effects of El Niño very broadly speaking, though. Such teleconnections, as they are called, tend to be more reliable when the El Niño is a strong one. Such was the case with both the strong events of 1997-1998 and 1982-1983. January and February 1998 were the wettest and warmest first two months to a year for the contiguous U.S. in the 104-year record at that time, according to NOAA. The position of the jet stream meant that some northern states saw temperatures up to 15 degrees above normal and both the Southeast and Southern California were awash in a series of storms. In California, the rains were so unrelenting that they led to mudslides that caused houses to crumble off disintegrating cliffs and racked up hundreds of millions of dollars in damages. An aerial view of a mudslide along the Southern California Coast just north of Los Angeles, taken in April 1998. With California now five years into a debilitating drought that has led to the first statewide water restrictions in its history, some El Niño-fueled rains (if not the more damaging aspects) may be quite welcome right now. But here’s the thing: Those two strong El Niños that saw heavy winter rains in California are only that, a sample of two. In science, that’s too small a pool to make any firm conclusions, L’Heureux said. 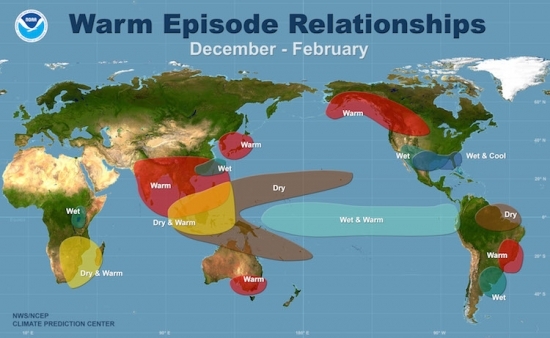 There are other factors, from the inherent chaos of the atmosphere, to other large-scale climate signals, that can potentially override any push provided by El Niño. This is exactly what happened with the El Niño of 2009-2010, which while it wasn’t as strong as 1997, was still significant. But other climate signals helped blunt its effects in the U.S., particularly in terms of temperatures, L’Heureux said. 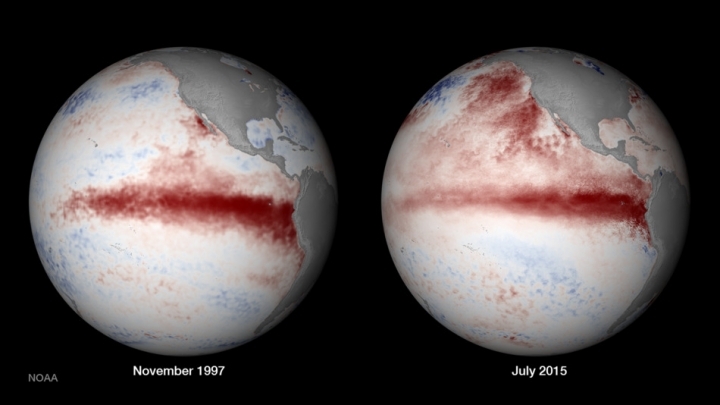 Events like that make forecasters cautious about comparing the current El Niño to 1997. (NOAA acknowledged as much by changing out the original image it used and noting that it did so to avoid confusion). So where does that leave us in terms of looking ahead to what El Niño might bring this winter? We have an event that is looking more and more robust (when comparing June 2015 to June 1997, the broad ocean temperature patterns are very similar) and forecasting models are in pretty good agreement that that event will strengthen as we head towards winter and El Niño’s typical peak. But exactly when it will peak and what its final strength will be is still uncertain. Even more uncertain is what those other influences on U.S. weather will be. So what forecasters can say for now is that the likelihood of those typical El Niño impacts, including rains in Southern California, are higher, but exactly where those rains might fall isn’t yet known. One factor that may influence that is the remarkable pool of very warm waters that has been parked off the West Coast for a couple years now, a feature that was not present back in 1997. That feature could impact the typical changes El Niño brings to the jet stream, Daniel Swain, a PhD student in climate science at Stanford University, said in an email. It is possible that if the El Niño builds up enough strength, it could overcome that influence, though, he added. “If El Niño really does make [it] into record territory during the coming winter, it's hard to envision California not experiencing a wetter-than-average winter, at least to some degree,” he said. The only real guarantee that forecasters can make, though, is that this El Niño event “will evolve in its own way,” L’Heureux said. “It may be similar to certain past events,” but it won’t be exactly the same.